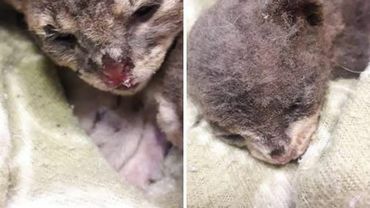 Both kittens are in critical condition, veterinarians were given oxygen to stabilize them because they could not breathe, urinated blood and have their little bodies blisters; and little fingernails and hair burned. Those are the visible injuries, but they are struggling to live because the damage caused by fire and carbon monoxide in their fragile bodies is terrible. The question is: why so much evil against them? What can justify such an act of cruelty as to want to kill them? The answer escapes my reasoning and surely that of all those who love animals and consider them subjects of rights and sentient beings. We demand justice for them and for so many animals that could not be rescued. PLEASE HELP US HELP TO PROMULGATE THE LAW AND DO JUSTICE. The law is already in the National Congress for its treatment. I pray to Bubastis that these poor kittens survive, and that their tormentor is caught and punished - severely. 1,460 have signed. Let’s get to 1,500! Noted and signed earlier. Thank you Pablo for posting and for all signatures, especially as our feline friends really do need more signatures. #5 signatures needed to reach goal of 1500 ~ PLEASE SIGN! I want to thank all of you the members and friends who support with your valuable time in the various petitions that I am publishing. You are all very wonderful!